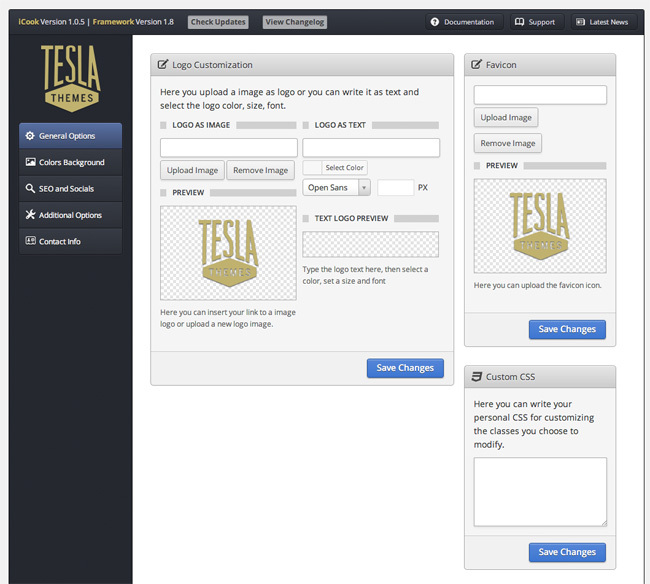 Tesla Themes have a wide selection of clean and professional WordPress themes on offer. Their designs look beautiful and are very easy to use. Tesla Themes have built a great reputation online since they launched their WordPress theme store last year. They are known for selling professional, clean, responsive designs, at a competitive price. All of their themes are built upon their own unique framework and come with full documentation and support. Tesla Themes currently offer twenty designs in their store. They have a wide collection of styles including blogging themes, corporate themes, photography themes, and even a coming soon theme. Let's take a closer look at four of the designs. 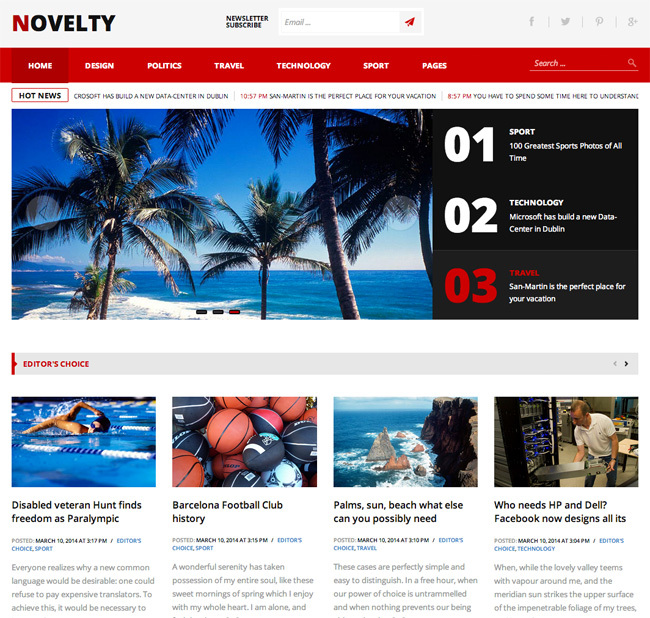 Novelty is a beautiful design that was designed for blogs, magazines, and news websites. It boasts a featured slider on the home page, five custom widgets, custom post types, and more. 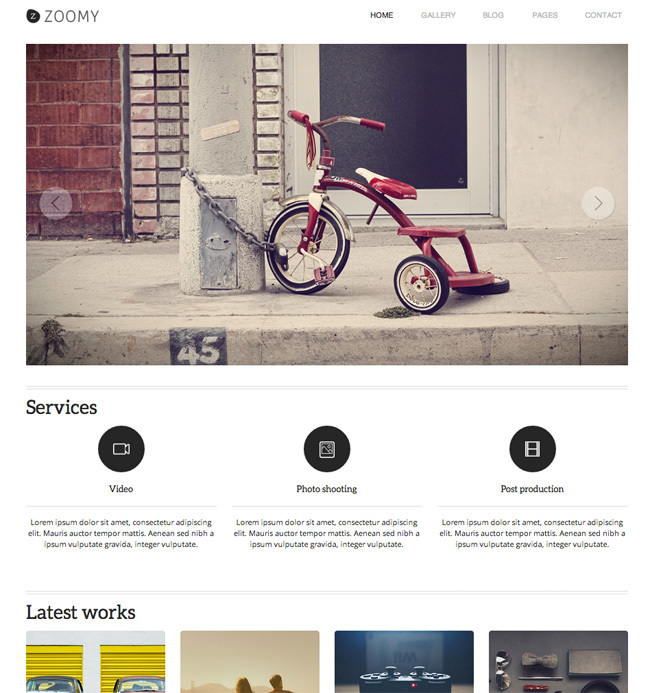 Zoomy is a clean looking photography theme that be used for blogs, portfolios, creative agencies, and more. The home page features a beautiful featured slider and there are multiple styles of galleries. It also includes five custom widgets, ten custom post types, and six unique page templates. 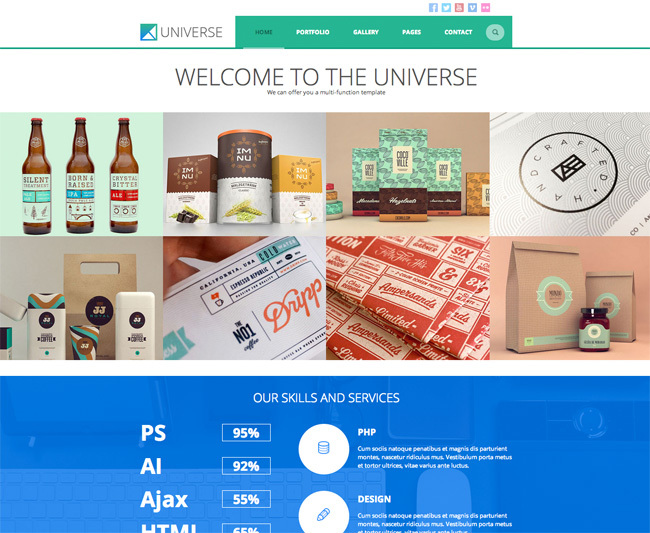 Universe is a versatile WordPress theme that can be used for a blog, portfolio, gallery, or corporate website. It has a featured slider on the home page, a filterable portfolio, thirteen custom post types, three custom widgets, and eight page templates. Custom shortcodes are packaged with the theme too. 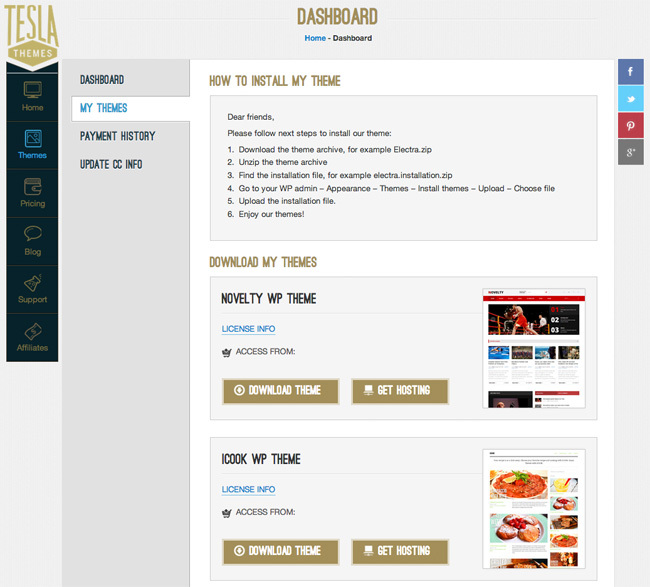 I took the iCook theme for a spin to get a feel for how the Tesla Themes framework works. 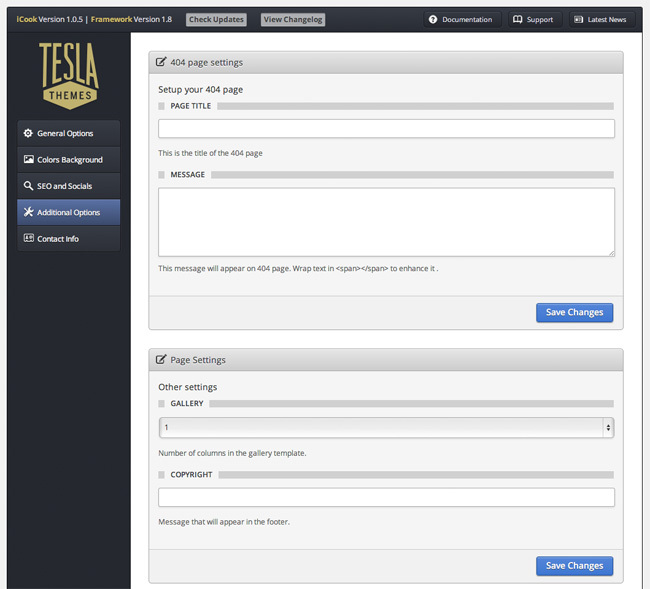 The framework powers all of Tesla Themes designs. The general options area allows you to upload your own logo. Alternatively, you can use a text logo. There is an option to change the font and color of your text logo as well as options to upload a favicon and add custom CSS. Background colors and the background image can be changed in the next tab. You can also change the general color scheme of the theme. 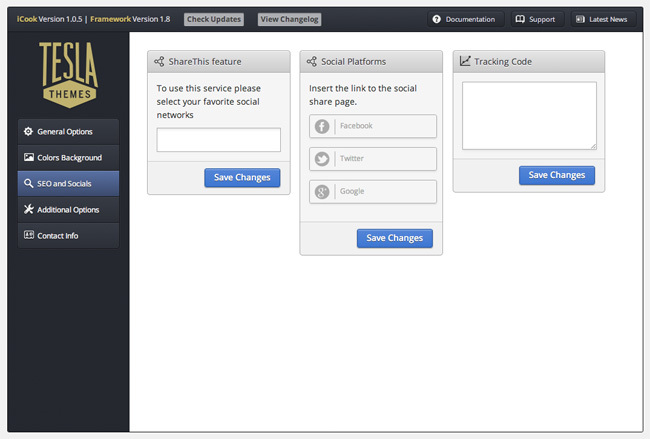 The framework supports social media sharing for Google+, Facebook, and Twitter. Tracking code for services such as Google Analytics can also be integrated through the settings area. Tesla Themes are one of the only WordPress theme companies I have seen that allow you to configure your 404 page error message directly through the settings area. It is a nice extra. Few options are available for the gallery that is included with the design I used. The only thing you can change is the number of columns that are displayed. The copyright message displayed at the bottom of your website design can also be modified. 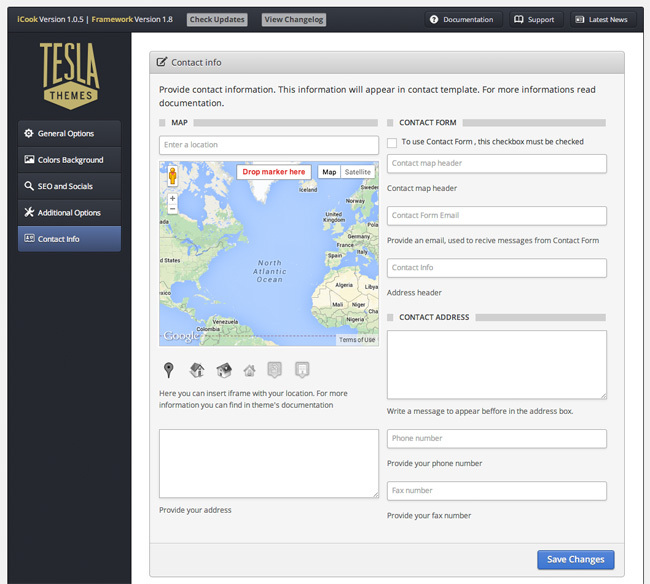 Usually, the contact form that is included with WordPress themes is basic; however the contact form that is integrated into the Tesla Themes framework is good. A Google Maps powered map is integrated into the form and you can display a contact address and telephone number. Unfortunately, the contact form is not flexible. You cannot add custom fields or change the information that is requested. The framework comes with a demo option that will adds posts and pages to your website in order to show you how your theme works. It is a nice bonus feature that I am sure many website owners will find useful. Import and export options are also built into the design and there is an option to clear all option settings. 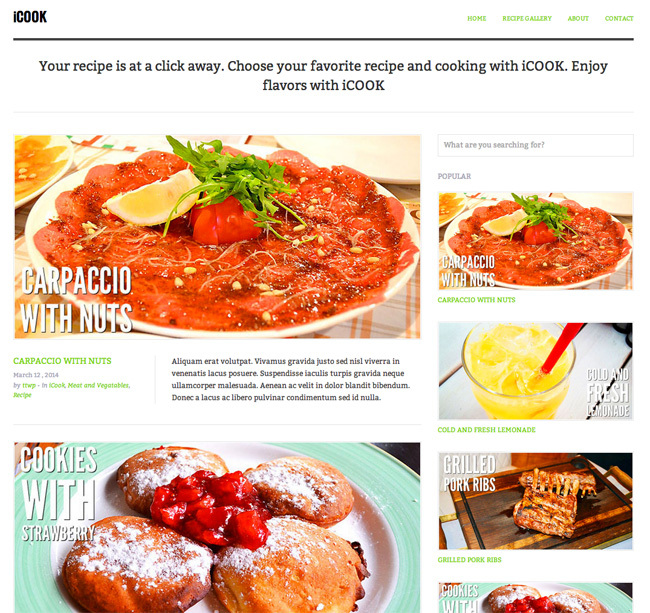 The gallery that was included with iCook was functional, yet basic. It allows you to upload images and assign an image as the gallery cover. 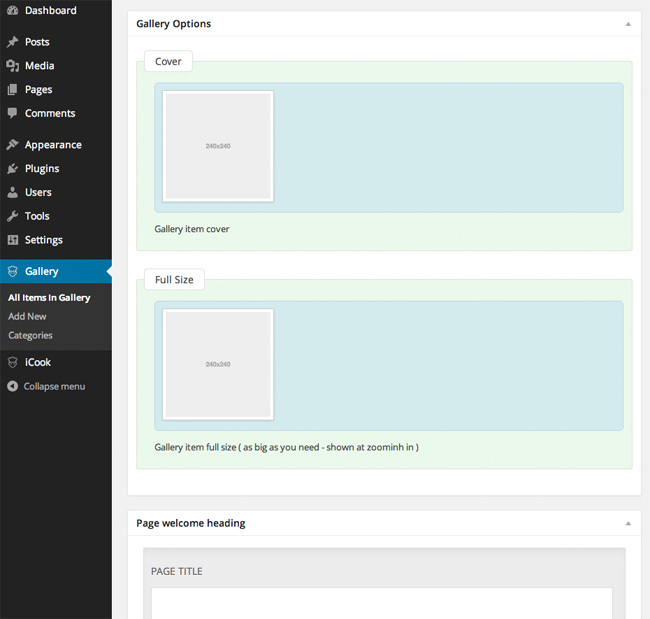 It works well, though I did not feel there was enough for me to stop using WordPress's built-in gallery functionality. And if I wanted something more advanced, I would probably use a plugin solution such as NextGEN Gallery. Still, it is hard to complain when extra features like this are built directly into the theme. 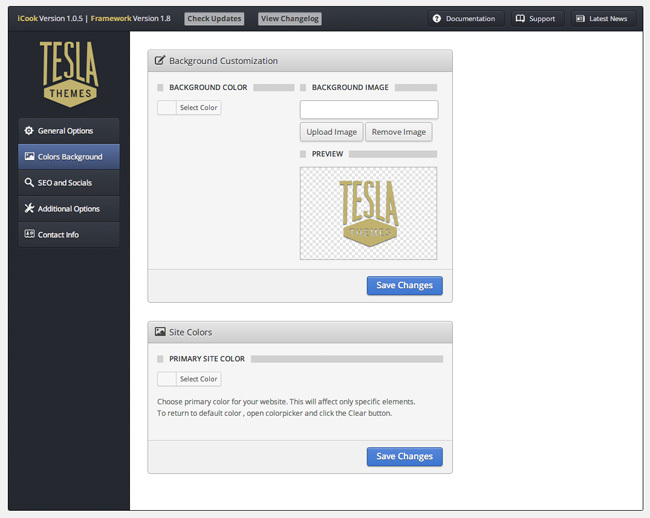 Overall, I was pleased with the Tesla Themes framework. It does not offer as many options as many other premium designs, however all the essentials such as logo uploading and custom styling are covered. Personally, I am not a fan of WordPress themes that pack in too many unnecessary options and features, so the lack of options was not an issue for me. Tesla Themes' pricing policy is very competitive. It is also clearly designed to encourage customers to choose their full membership option. With an individual design costing $35 and access to all Tesla Themes designs costing only $45, it is clear that the their full membership offers the best value. And they only charge $20 more for access to Photoshop PSD files of themes. 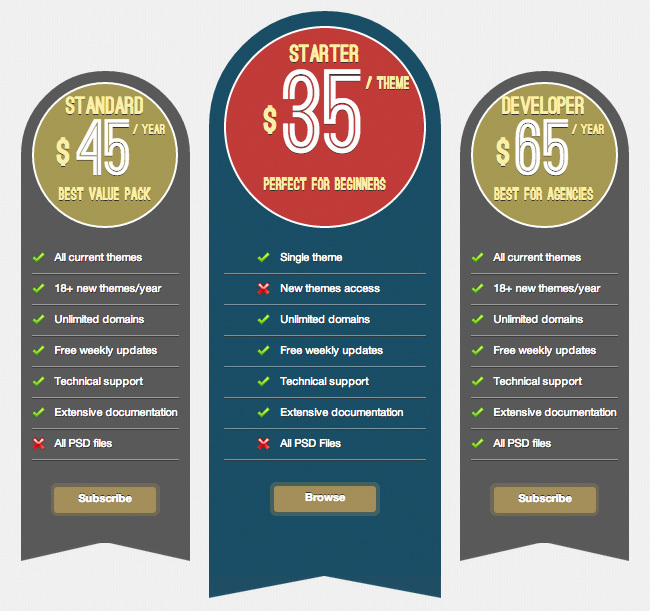 All pricing plans allow you to use their themes on an unlimited number of websites and come with technical support and documentation. Their yearly plans also promise over eighteen new themes every year. The account dashboard area lists all of the themes you have access to. Simply click on the download button for any theme that you want to download to your computer. 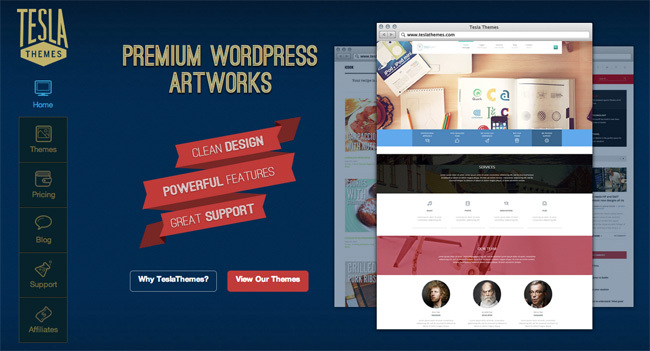 On theme marketplaces such as ThemeForest, most premium themes are now selling for $45 to $60 each. Therefore, getting access to twenty quality designs for only $45 offers fantastic value. You can find out more about what they offer at Tesla Themes.